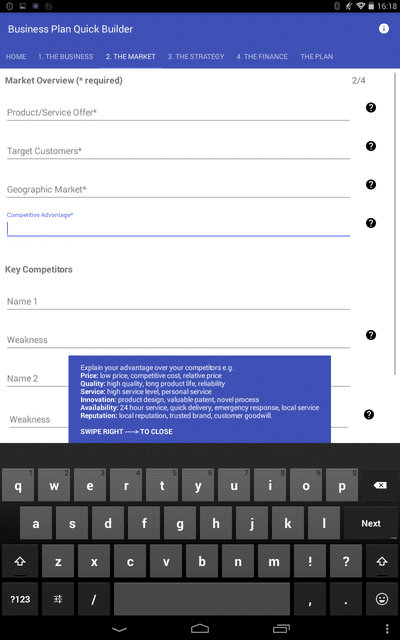 What is Business Plan Quick Builder ? 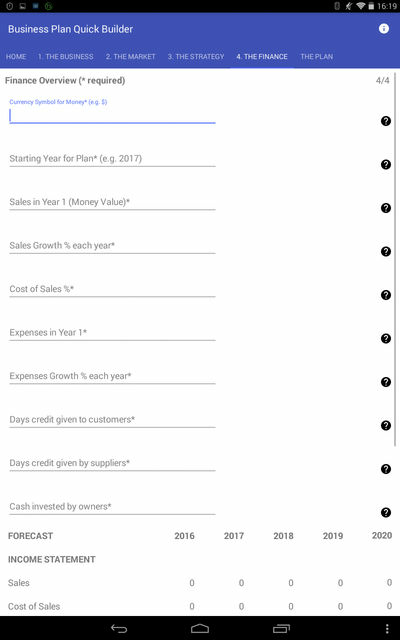 The Business Plan Quick Builder helps to create a business plan with greater efficiency and ease.It also offers planning templates, which are very easy to use. After getting all the information, the software will analyse them and can deliver the forecast of the business for up to 5 years. It also helps in understanding the income statement as well as the cash flow statement.You can even modify your plan anytime you want to. Apart from these, it helps you attract employees as well as business joint ventures and alliances. 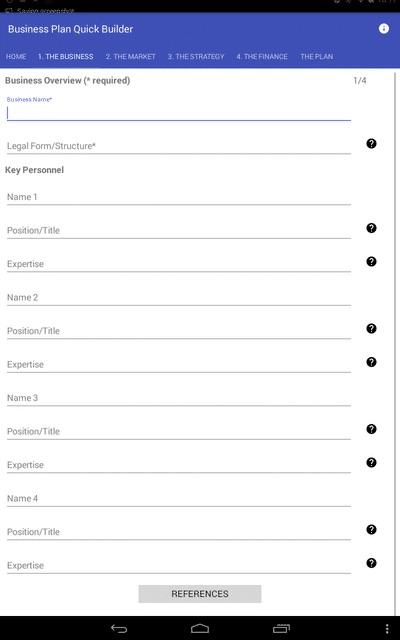 It also uses the succession planning for family business so that you can hand over the authority of the business to the next generation without any headache. 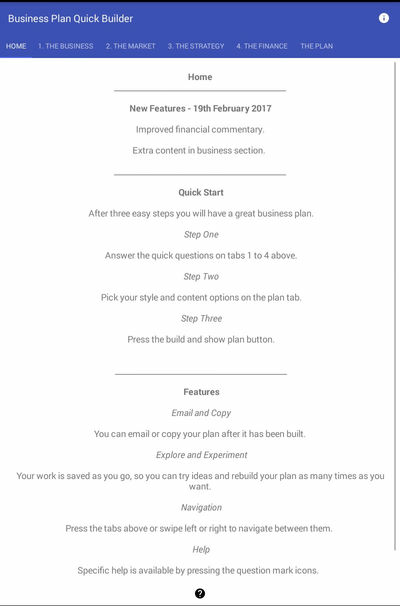 How much does Business Plan Quick Builder cost ? 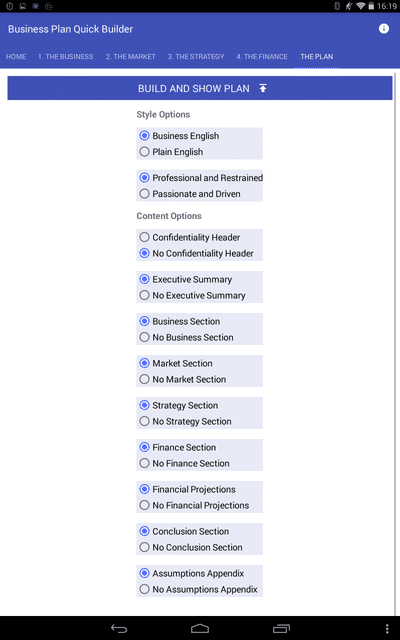 The pricing for Business Plan Quick Builder starts at $0.99. 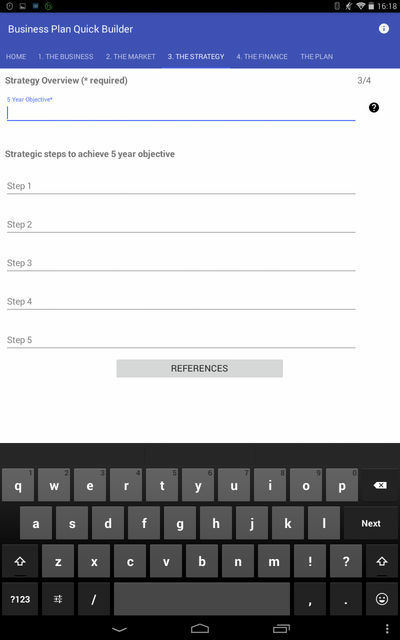 Business Plan Quick Builder has a single plan - Android App at $0.99. Pros: As it's based on Android You can use it on the move (in tram, bus, train or airplane) on Your smartphone or tablet. Perfect when You have small gaps of time that You can use for writing Your plan. Also, business plan can be always with You, in Your pocket. Cons: Mobiles and tablets have some limitations, as they are content viewing and not content making platforms. Writing without real keyboard is very difficult. Overall: It's interesting concept to put some ideas and changes in Your business plan when You have some extra free time or opportunity to do so.